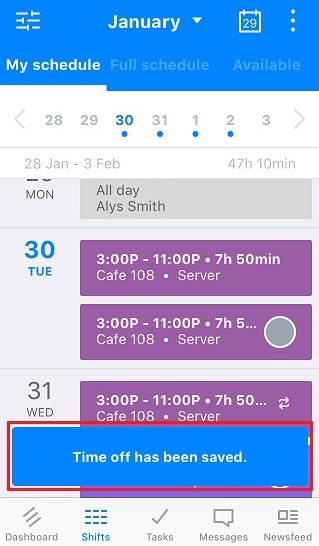 Tap the Shifts tab, then tap the options button at the top right and choose request time off. 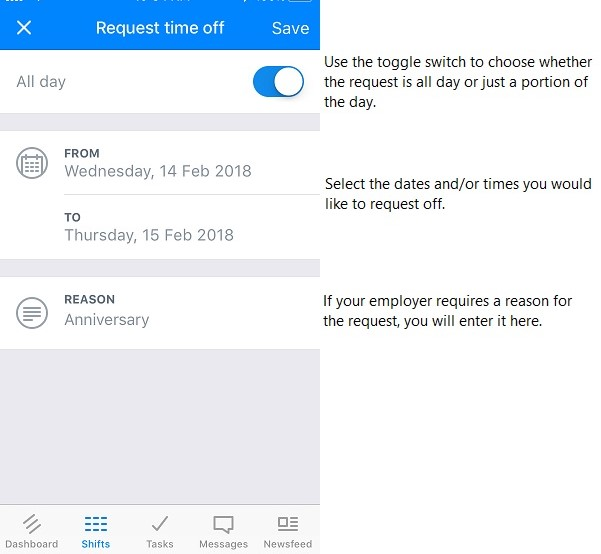 If you don't see the options button, it means your employer has disabled time off requests for the company. Please reach out to them for assistance. On the next screen, enter the details for your request. 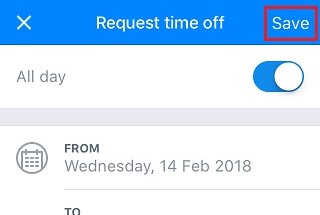 When you're ready to submit your request, tap the Save button at the top right. 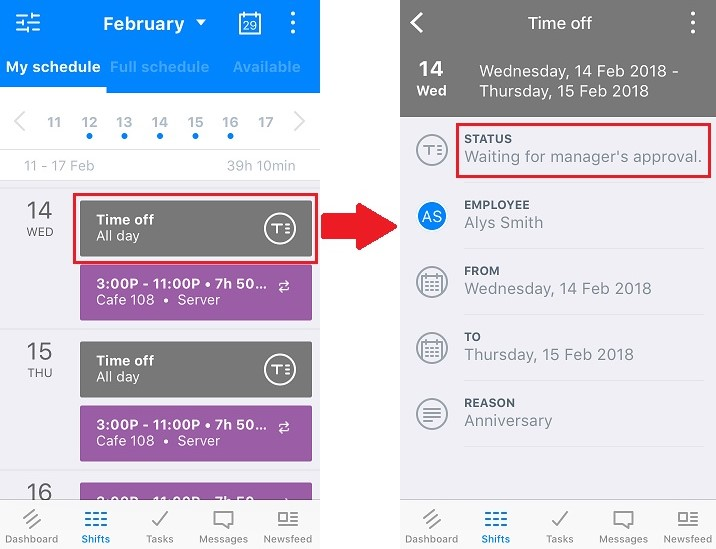 You will be returned to the Shifts screen and a confirmation message will show across the bottom of the screen. Your manager will receive a notification of the request and can approve or deny it. 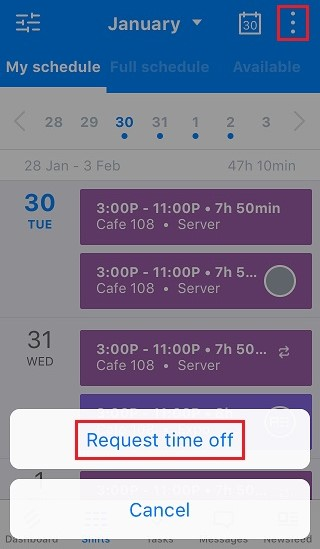 The request will also show on your calendar where you can tap it to see its status.